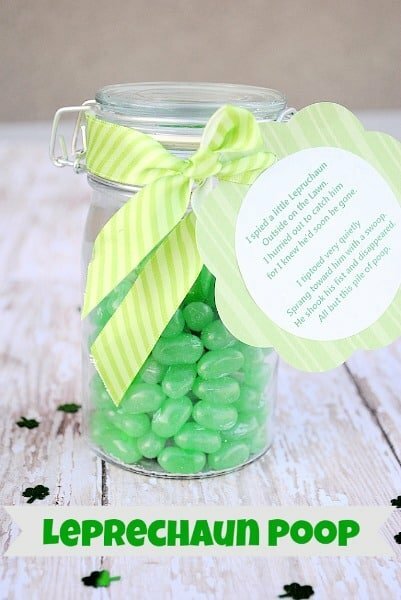 Do you leave little treasures for your kids on St. Patrick’s Day? 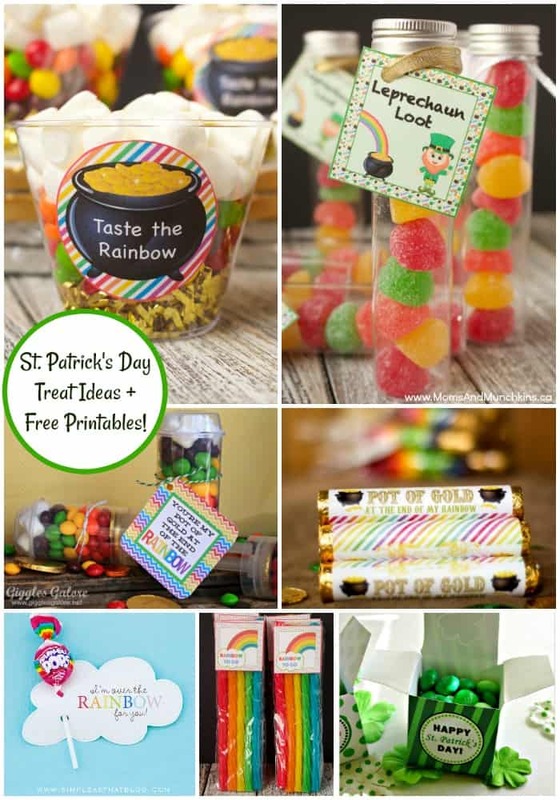 I love all of these ideas for St. Patrick’s Day treats and the free printables that go along with them! To view the full tutorial and access the freebie for each, simply click on the title of the St. Patrick’s Day treat and it will open up in a new window for you. There are a lot here to choose from – you could even do a full week of St. Patrick’s Day treats! Let’s start with a few you’ll find here on Moms & Munchkins. 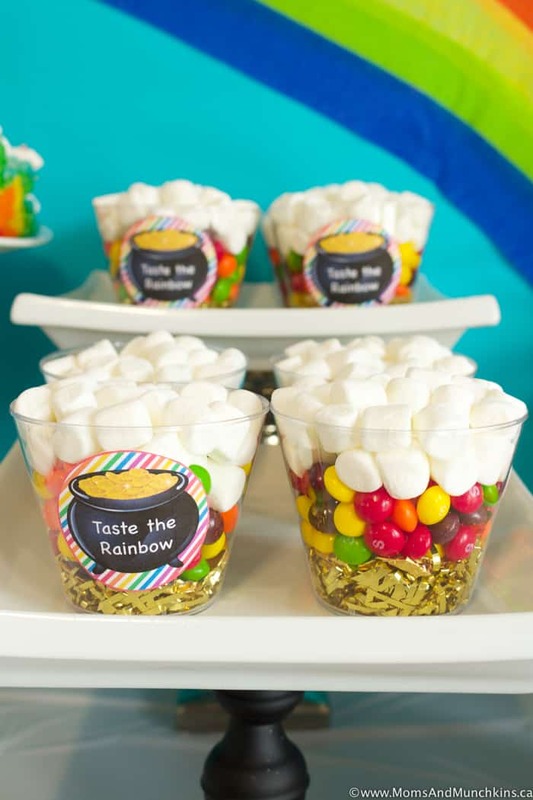 First up, Taste The Rainbow treat cups. Gold on the bottom, Skittles in the middle and marshmallow clouds on top! 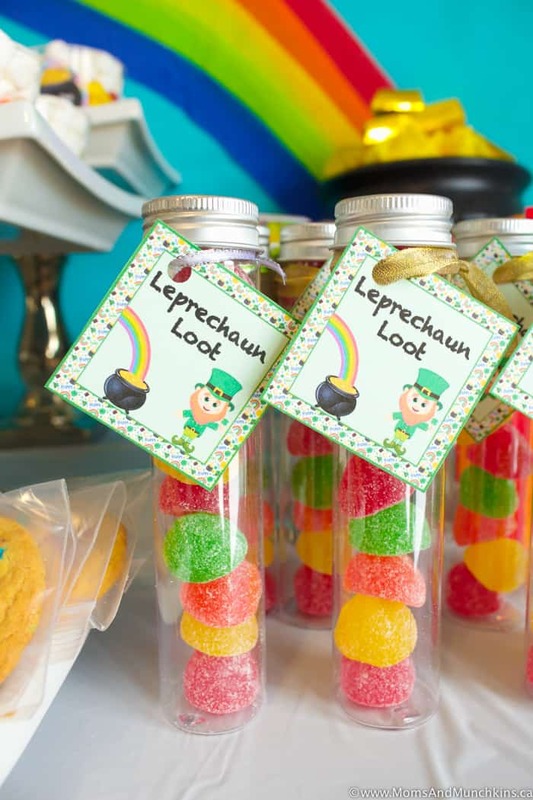 Leprechaun Loot – I used these on candy tubes filled with rainbow gumdrops but these tags would be great for chocolate gold coins too! 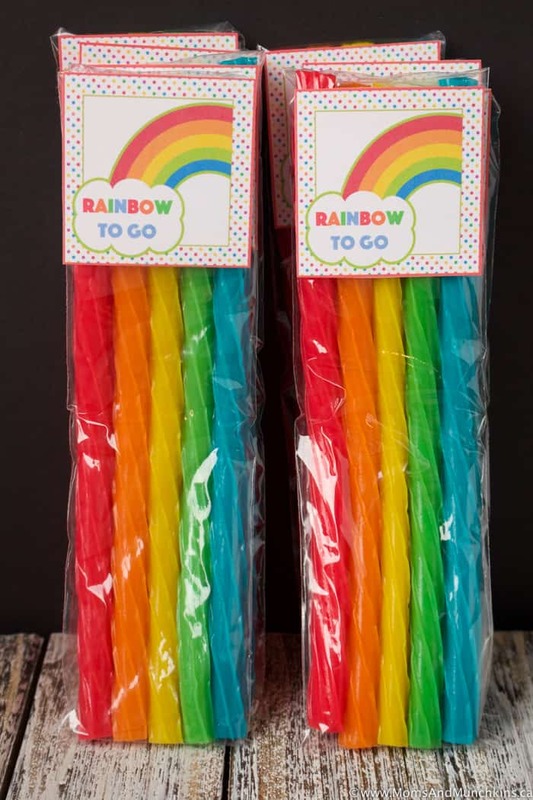 Rainbow To Go – a super simple idea with rainbow Twizzlers and pretzel rod treat bags! Don’t forget to visit our St. Patrick’s Day page for more freebies, delicious recipes, treat ideas, activities, party ideas and more! 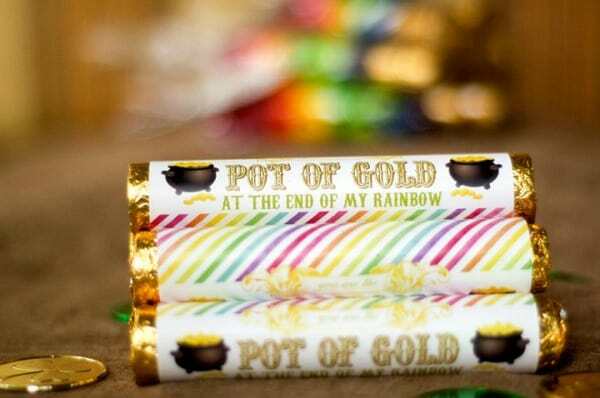 These Rolo Pot of Gold Wraps by Modern Moments are absolutely adorable! I love Rolo chocolates so this is a treat I’d like to make for myself. 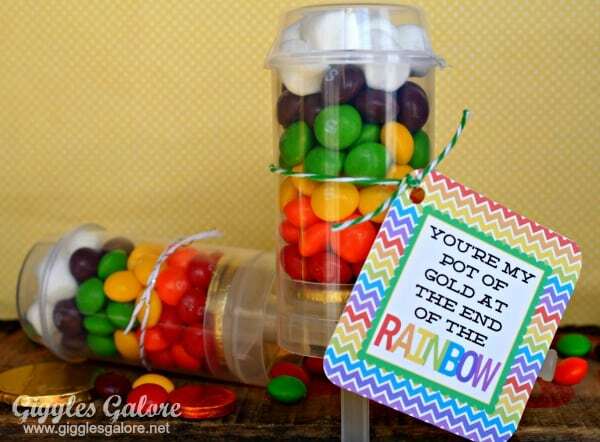 I love these Rainbow Candy Push Pops by Giggles Galore as featured on Dimple Prints. Look closely at the picture and you’ll see gold coins, rainbow candy and fluffy marshmallow clouds! 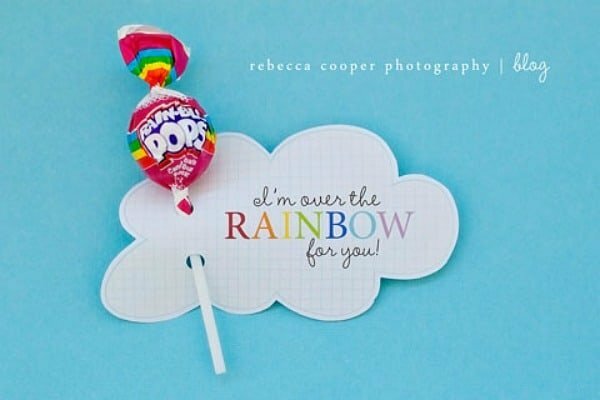 This Rainbow Lollipop card by Simple As That is a really sweet idea! In that link you’ll also find other free tags perfect for rainbow lollipops. 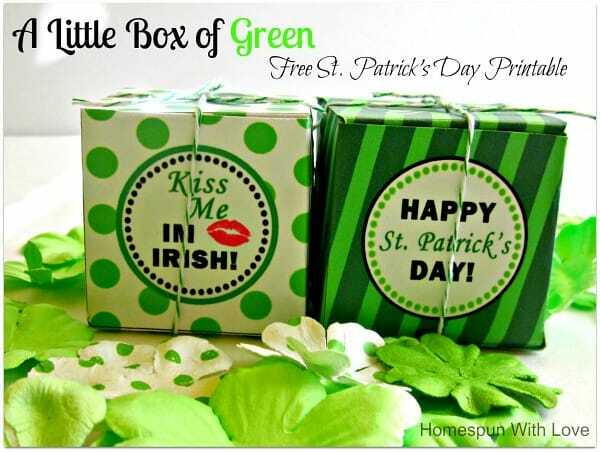 These St. Patrick’s Day boxes featured on Homespun With Love would be perfect for treats, cupcakes or little gifts. Do leprechauns stop by your house on St. Patrick’s Day to drop off treats? If so, what kind of St. Patrick’s Day treats have they left behind? Let us know in the comments below. Be sure to stop by our St. Patrick’s Day page for even more fun ideas. Thank you for featuring our Little Box of Green! Thanks for including my Rainbow Push Up Pops, they are such a fun way to add a little color to St. Patrick’s Day! Thank you, Mariah! I love this idea so much that I’m going to make some myself!